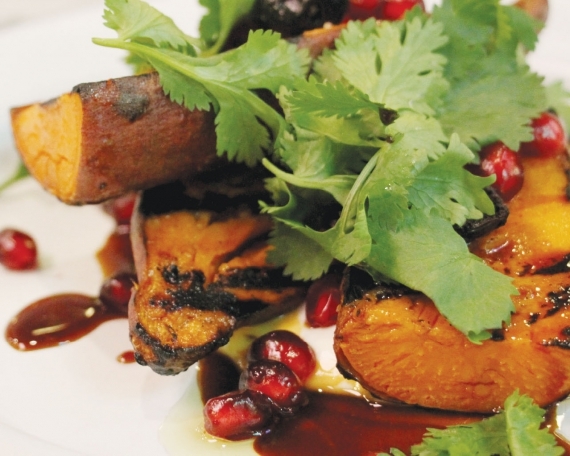 What is it about cooking outside that makes everything taste so darn good? Seriously, all it takes is a campfire and some fresh air, and all of a sudden a hot dog is the best meal you’ve ever had. This miso fish soup is no exception. After a day of fishing in the cool mountain air, it will perk you right up, regardless of whether you were able to catch your dinner. My mom is the go-to soup expert in the family. I think my boys would live off her dashi broth if given the chance. Her secret is that she brings the broth to a full boil. 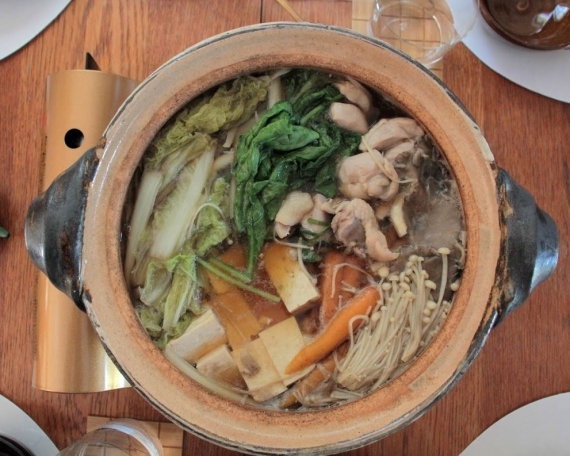 While a lot of recipes will have you keep the dashi at a gentle simmer in order to maintain its purity, boiling it really brings out the flavor, making for an intense broth. 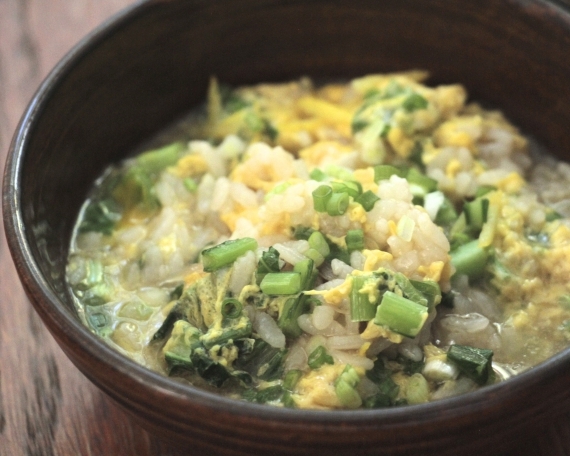 The broth is quite easy to make, but extremely flavorful and soul-satisfying. If there’s a chill in the air or you’re feeling a bit under the weather, it’s all but guaranteed to turn things around. 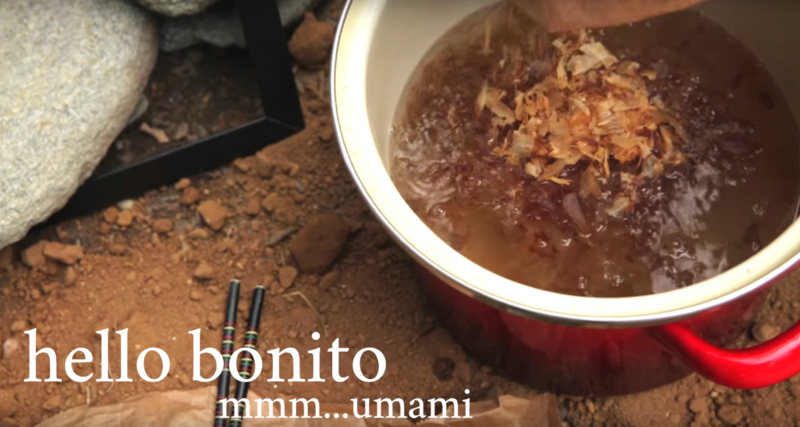 So find yourself a campfire or a stovetop and let the dashi making begin. 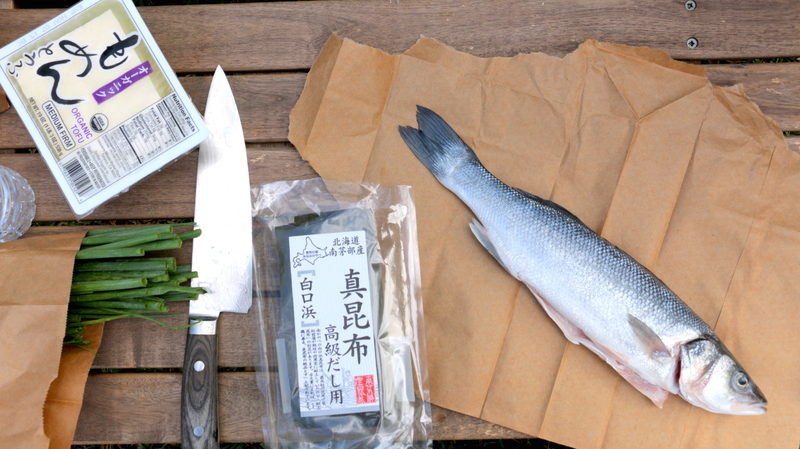 Prepare your dashi broth: Place kombu in a stock pot with the gallon of cool water. Let soak for 30 minutes. 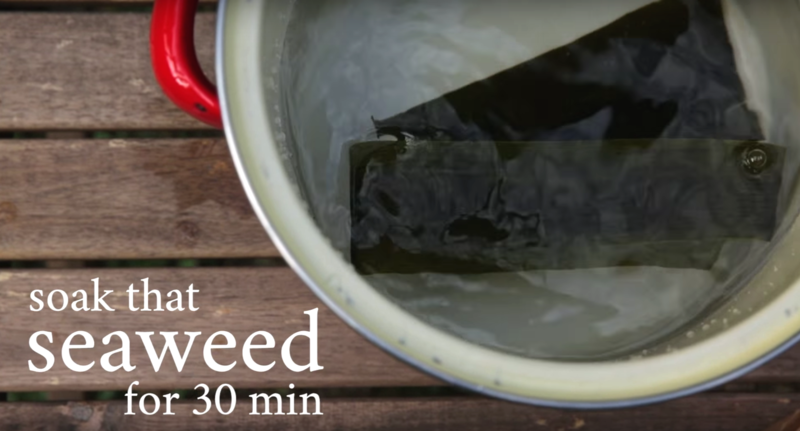 Boil the seaweed broth for 10 minutes, turn off the heat and discard seaweed. Add bonito flakes to the water and boil 5 minutes. 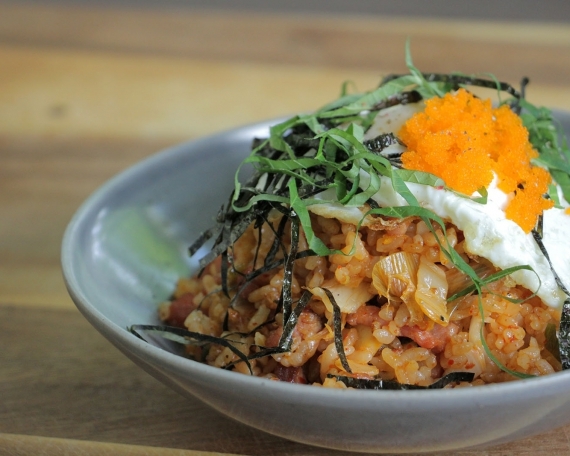 Remove pot from the heat and allow bonito flakes to drop to the bottom. Strain out bonito flakes from the broth. 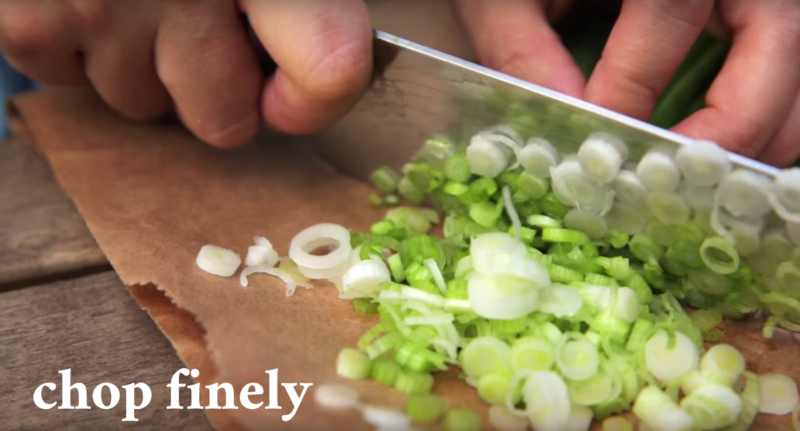 Meanwhile, prepare soup ingredients: Chop scallions in thin slices. Cube tofu into 1-inch squares. 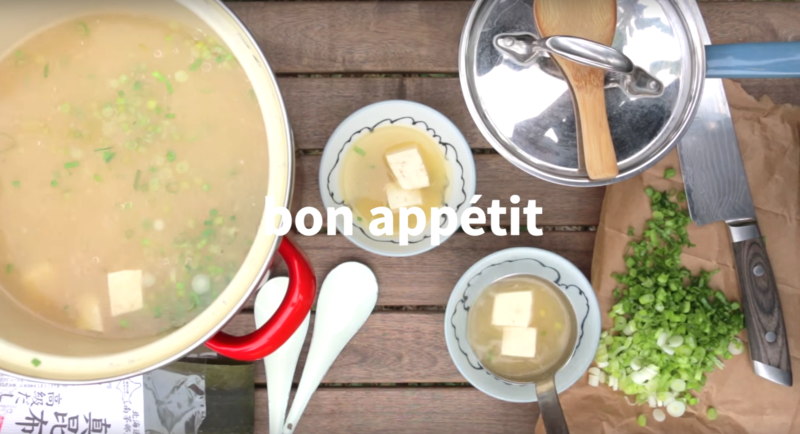 Finish the soup: Add fish, scallions and tofu to the dashi broth and simmer for 90 minutes. Serve, garnished with extra scallions.